HomeInsuranceHow do you select and buy a Term Insurance Plan online? Most life insurance companies today offer term plans online. The premiums of these plans come at less than half the price of the insurance plans bought offline. The absence of an agent between the customer & insurer and low operational costs are the primary reasons for such low premiums. Unfortunately, this is the starting point in selecting a term plan. With information available online, a prospective buyer usually compares premiums of term insurance plans on websites to check out which one is cheaper. However, it should not be the only criterion to select a term plan. There are many important factors which you should consider before buying a term plan. This would depend on your personal situation as well as the company & its product features. Amount of living expenses to maintain your family’s current lifestyle. 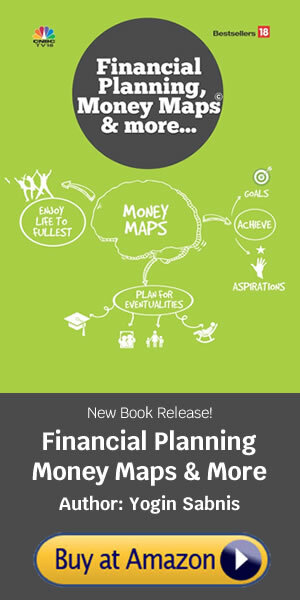 Cost of essential financial goals of your family like child education, marriage, etc. Any outstanding loan amount also need to be considered to prevent the burden of repayment on family members in the future. The tenure of a term plan is as crucial as the amount of cover. Ideally, it should cover you till the age you work. Nowadays, because of late marriage and having kids late, financial responsibilities of parents may not be over by 60 and they may continue to work. So, it is possible that life cover may be required beyond 60 in the case of current generation. Claim settlement ratio: This ratio indicates how much death claims a life insurer has settled in any financial year. It is calculated as the total number of claims received against the total number of claims settled. For instance, a life insurance company received 100 claims and settled 97. So, the claim settlement ratio is 97 per cent. Only 3 per cent claims have been rejected by the company. A higher ratio gives confidence that your claim is likely to be settled by the insurer when your loved ones are in need. But there are 2 issues here. An insurer’s claim settlement ratio, be it high or low now, may not remain the same in the future. This is because the underwriting guidelines which are internal to the company are subject to change. Underwriting means the process of deciding how much risk should be taken per customer based on his age, income, health and dependants and how much cover should be granted. Secondly, the data on claims settled disclosed by insurance companies (as per IRDA guidelines) does not reveal the entire picture. The claims ratio is disclosed at an aggregate level, i.e., it will not give you the bifurcation on which kind of products is the claims settled. So, the claims ratio for any company is calculated as the total number of death claims paid for its endowment, money-back, whole life, children and term policies divided by the total number of death claims received for all policies. Compared to term insurance, the claim settlement ratio for investment linked policies is higher as they are mainly savings products with insurance built-in. So, a company may have a lower settlement ratio for its term insurance products but a higher ratio for its investment linked policies which pulls up the number at the aggregate level. The total claims ratio will be influenced more by the type of product a company sells more. Hence, while claim settlement ratio can be a broad indicator, it cannot be a strict yardstick in shortlisting a term insurance product. Average time to settle a claim: One of the big concerns for you as a customer would be how fast a life insurance company would settle the claim for your loved ones in need. The faster the service, the greater is the confidence that your dear ones will receive the money due in time. Every company reveals data on claims settled – within a month, 3 months, 6 months, a year and above. You can check out how many claims are pending at the end of the year. Instead of a standalone number in any year, check the trend over a period which will give you some idea. Also, avoid doing a company wise comparison as a company with big business like LIC will probably have higher number of claims pending. It may not necessarily imply that the company is inefficient in claim settlement. Where can I find the company data? You can go to IRDA’s website. Under public disclosures, you will find individual company links. Or you can directly go to a particular insurance company’s website and find information under public disclosures. 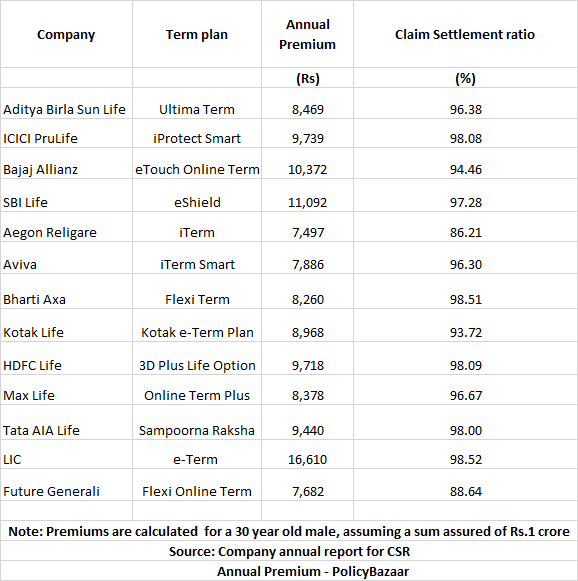 If you will observe, premiums of certain companies like Aegon Religare, Future Generali are cheaper than others. But at the same time, their settlement ratio is also very low. You can check the CSR figure over a period of time and compare whether it is increasing, decreasing or stable over the years. Cheap premium thus cannot be the only criterion to select a company. Adequate disclosure of facts: While buying a term cover, it is prudent to fill up the proposal form on your own, clearly and correctly. Do not leave it to your insurance agent. Further, ensure you disclose all the facts properly. Do not conceal any important information regarding your medical history or habits, if any (smoking, drinking, etc) which could influence rejection of the claim later. After all, it is your loved ones who would suffer and would not receive the desired financial support in hour of need.